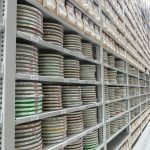 It’s true that nothing lasts forever, but Spacesaver’s archive storage systems put time on your side. 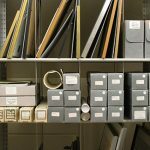 Rare books storage, diaries storage, newspapers storage, manuscripts storage, photography storage… regardless of media or format, Spacesaver offers an archive storage solution uniquely designed to protect and preserve irreplaceable and priceless treasures. 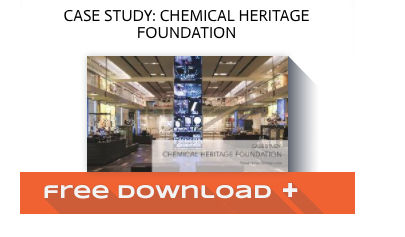 Watch the video or download the case study to learn how the Chemical Heritage Foundation used Spacesaver innovation to store 8,000 volumes in a 16′ wide building! 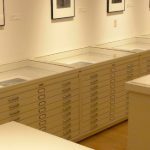 For archives that don’t require the space-saving benefits of a mobile storage unit, consider Spacesaver static shelving systems – including wide-span shelving – or our stand-alone museum-grade custom cabinets with drawers (including flat-file drawers), and trays. 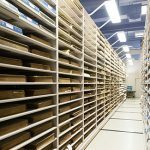 Download the featured case study to learn how the Chemical Heritage Foundation used Spacesaver shelving to store 8,000 volumes in a 16′ wide building!